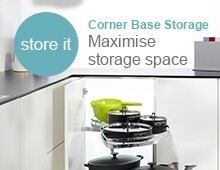 Quality Pan storage is a challenge, and pan lid storage doubly so - Stack your expensive pans on the worktop and they take up valuable space. 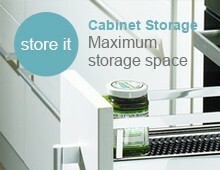 Put them in a pan drawer, and they may clatter and damage themselves every time you open it. 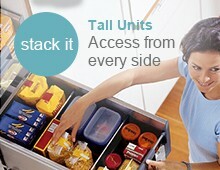 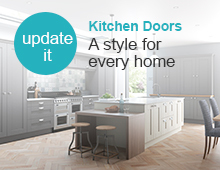 Our Blum and Hettich pan storage sets are the answer. 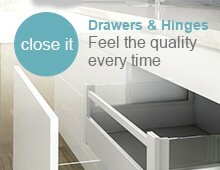 Quality non-slide matting stops rattles and avoids ugly marks on the drawer base. 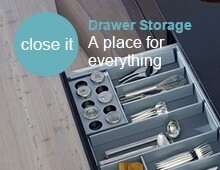 The pan lid storage area is expertly organised using pan drawer inserts with hardwearing cross dividers separating pans from lids or utensils.